Today, we’re looking at how much to charge for videography. If you’re new to the game (or even if you’ve been in video production for a while), I’m sure this is a question that has crossed your mind. This is the second part of this section of the guides about Crafting Your Message. If you haven’t yet read the first part (or started the guides from the beginning), you should do that now. If you’re following along with the process from the beginning, it’s now time to form our Penetrating Promise, as we move along with crafting our message. We’ll also discuss the all important marketing topics of pricing, packaging and forming an Elevator Speech. All great business relationships are based on trust and honesty. Just like romanic or friend relationships. In order to be trustworthy and honest, we need to make promises. Without promises (of the business variety) your clients won’t want to work with you. They need trust and honesty and they need to know they’re in steady hands. Ask yourself: what can I promise they will receive from working with me? You’re not a chiropractor; you relieve chronic back pain in 6 sessions or less. You’re not a financial advisor; you help people retire early on what they’re currently making. You’re not a consultant; you help companies of 50 to 150 employees reduce turnover and increase revenue in less than 6 months. You’re not a business coach; you can help people get more clients, in record time, and consistently. You’re not a delivery company; you provide a stress-free, hassle-free delivery of a package. You’re not a nutritionist; you help people lose weight without starving themselves or counting fat grams ever again. 1. What do you really deliver? 2. What is the absolute top benefit of your video production service, one that you’ll rest your reputation on? 3. What can you promise a client who wants to work with you? 4. How can you phrase this in just a few words so that an ideal client says, “That’s exactly what I need!” and will want to pick up the phone to call you? 5. What can you promise that a client will receive from working with you? What result does your client get from your services? 6. If you were to say to a prospect, “If you work with me, you will ___”, how would you answer this in a way that would make them say “WOW”? $10 words don’t get you anywhere in marketing. We’re not trying to fashion the latest James Joyce novel here. This also means no industry terms that no one outside of video production will understand. You can leave your DP, your light meter and DSLR at home. The words, not the things themselves – you might need those! Keep your language and communication simple, concise and efficient. It goes without saying that we always treat our clients well and respect them as fellow human beings. However, for this exercise, imagining them as children is incredibly effective! Your message should resonate strongly with your target audience. This is where your research really comes in. Great video business owners speak their potential client’s language. So if you’re targeting yourself at the aforementioned bridal client, you will want to use words like “magnificent, “ “special day, “beautiful,” “big moment, “forever,” etc. I’m sure you get the idea. The language will be different depending on the client and the research you’ve done. You might have already heard the term Elevator Speech. No, it has nothing to do with being stuck in an elevator and what you might say through that threatening looking intercom if/when that tragedy strikes you. “I work with (insert ideal client profile type – ie pet shop owners) who struggle with (insert client challenges) and would like to (insert results and benefits). One thing that needs to be mentioned is that people judge you on what you say about your business. They can’t help it, they’re trying to figure out whether you’re good at what you do, or not. And one of the things they look at is your confidence level around how you describe your business. We’re not shooting for arrogance, but rather a casual confidence that makes them want to know more. 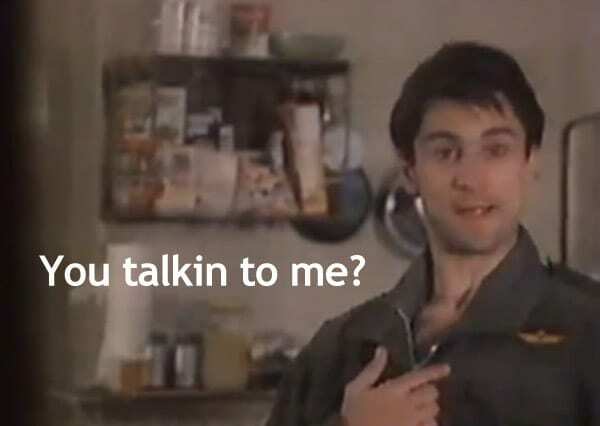 You don’t need to be Tom Cruise in Jerry Maguire, but certainly not Robert De Niro in Taxi Driver! That’s why it’s important that you memorize your Elevator Speech. Because you want it to roll off your tongue, easily and without effort. You’ll want to get your Elevator Speech to a point where it’s completely normal and natural to use it. You’re not a news-reader or someone at Toastmasters trying to remember the lines. Practice with friends and family, so that it really becomes a part of you. Basically, you’re trying to reduce your essential message into just a few words. You want to keep it short, memorable and have it be results and benefits oriented if possible. It doesn’t always come overnight, and it can always evolve over time. Just be careful that it doesn’t change drastically on a regular basis or you’ll confuse people. In business, people are often so busy working on their clients’ issues, they barely have time to work on their own. I, too, have been in need of carving serious time to work on my own marketing, after-hours, so I’m not throwing stones here. I, too, find myself walking around with the proverbial bare feet! Make a list of things you would insist on seeing if you were your potential client wanting to hire someone in your industry. If not, start working on it right away. You might even consider hiring someone to help you and keep you accountable. 1. Get into the mind of your Ideal Client and play along with this exercise to learn more about your market. Pretend you are your Ideal Client. 2. Make a list now of the things you would insist on seeing and hearing from a video freelancer if they were to approach you. 3. Do you fulfill every one of these criteria? Be hard on yourself – it really is worth it. 4. If not, start working on these things so that the next time you approach your Ideal Client, you will be saying and doing the right things. Packages are easier to understand, easier to trust and just seem to be easier to buy. For instance, if you are aiming your services at the wedding market, you could look at a tiered system of packages that you can offer to brides. You could also think about bundling a video + photography package, where you partner with a local photographer. Think about prices and how they relate to packages. You could have a Basic Package, a Gold Package and a Platinum Package. The prices increase from Basic (your starter) up to Platinum and what’s offered in each package improves as the price does. These are all food for thought and aren’t meant as exact directions. Find what works for you and run with it. I do strongly advise that you have three different packages, though. For some reason, the human mind likes things that come in threes. It’s somehow reassuring and top marketers for years have espoused the theory of having three packages. A tiered price system for your packages (like I mentioned above) is perfect. You’ll find most people will go for your middle package, as the top package is out of most budgets and no one wants the lower tier for fear of being seen as a cheapskate. So make sure your middle package is the optimal experience and that it has a process that you know very well, as it’s the package you’ll be carrying out the most. People like to put things into neat little packages so they can visualize what you offer more easily. They also want to trust that you know what you’re doing and seeing it spelled out for them really helps. Make it easy for them to see what you provide by creating a detailed list of your offerings. This is where you can really leverage assets like a website. 1. Outline the steps that you will take with clients to deliver the video production results that they want. 3. Next, name your packages based on the results your Ideal Client will want to get from it. For example, if you’re providing a wedding videography service, you could have the following packages: The Rose Package, The Tulip Package and the The Lily Package. Or maybe you’d prefer The Silver Package, The Gold Package and The Platinum Package. 4. Assign a price to each package. 5. Congratulations! You now have a proprietary system to call your own! Everyone will tell you a thousand different things about pricing. I’ll only tell you one thing…well, maybe two! What you’re going to read here is slightly different to what I advised in the Quick Start Guide. This is a deeper assessment of pricing, and also assumes you’re not just trying to start up as quickly as possible (if you want that approach, then consult the Quick Start Section. I’d carefully worked out my pricing based on the hourly rate I felt I was worth, with plans to increase that as I gained more experience. That is one approach and it makes sense. You can then either quote people up-front for a video project, or total up the billable hours at the end of the project and invoice them then. People will either take or leave a one option service. However, many people like options (I do too). They don’t want to be “forced” into taking something that doesn’t suit them. They want the option of small, medium or large. Some people naturally go for the biggest, fastest, “super-sized” option, just because that’s their personality. Others are more cautious and like to take their time doing things. Sometimes, it’s simply a question of money and what they can afford. I started making available an option for each of these types of people (and budgets). The result? I started getting more projects from more clients offering options than when I used just one rate. 1. There were options to fit different budget levels and it took care of the “am I charging too little or too much?” syndrome. 2. The client probably felt more in control and part of the decision-making process, which is less threatening. 3. It gave me confidence that my rates, as a whole, were just right for my ideal clients. As we discussed in the section just above this one, Tiered Pricing is the solution. Get Clients To Call You! Now we’re really getting somewhere. We’ve learnt that the best way to attract clients to your video business is just that…attract them. Don’t try to push out with your marketing, pull in. Once you get good at this, and your marketing materials are really on point, you’ll begin to attract clients to you. 1. Put yourself in your client’s shoes first. 2. Stop talking about yourself and talk about them and their struggles first. 3. Then, and only then, can you position yourself as their problem solver. 4. Use the compelling message we just talked about. A good example of something that will PULL ideal clients in is a set of compelling questions to which your Ideal Client would answer YES for each and every question. Not attracting enough clients to your existing small business? Do you love what you do but haven’t mastered that “video thing” yet? Are your current products not moving off the shelf fast enough? 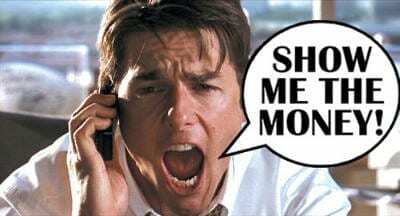 Do you wish you could turn more prospects into paying clients? Do you sometimes feel like you’re just barking up the wrong tree? Getting those juices flowing? Good. The key here is to focus on your Ideal Client’s struggles and hot buttons first. To get them into the pain just slightly, so that they realize that their situation isn’t as great as they’d like it to be and that they need to do something about it. Well, hopefully this article on how much to charge for videography has been instructive. 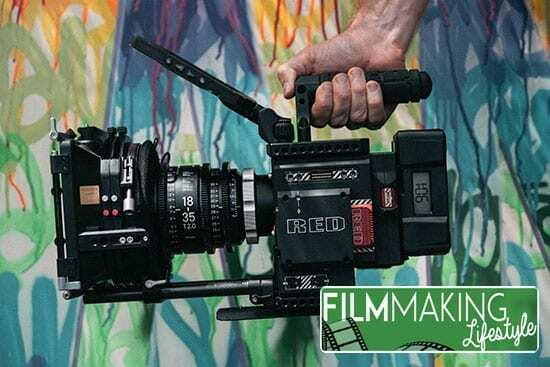 Obviously, there’s a vast variety of different types of videography that you could be doing. So there are variables here. Still, the tried and true formats and principles that we’ve discussed here in this article will hold you in good stead. Mostly, the questions above will get your prospective clients to feel like you really understand their situation and that you’ve been helping people like them for a long, long time. Once they feel that trust and see that you can provide them with the results they need, they’ll pick up the phone and call you. So, how did you find this article? Have any videography pricing questions? Drop me a message in the comment section below! ALL very good topics to be thinking about when it comes to the marketing of yourself, website or business in general. This is a guide I would recommend! Thanks, Jennifer. Glad you got something out of it. 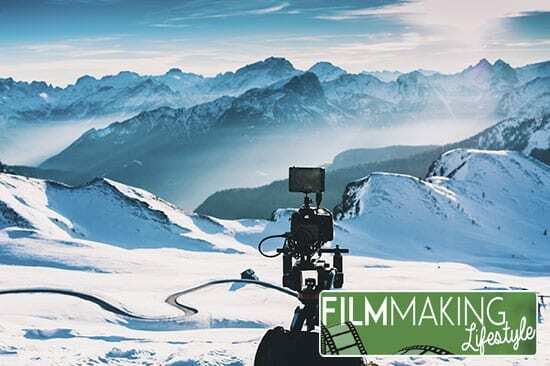 I do use Facebook, both on Filmmaking Lifestyle and on my video production company websites. I don’t use Pinterest, as its audience isn’t really my audience. Most of my audience (and target audience) tend to hang out on Facebook and Twitter, rather than social networks like Pinterest. Hey Matt, I definitely liked your post on how offering your prices in the form of packages is genius, certainly making things fair for both parties. But for me, even though I’m still starting out, my end goal is to turn my business into a full time income. So should I use the pricing/packaging system right from the get go? Thanks for the comment and good to have you here. Packages are beneficial to both the client and you as the company owner. You seem to frame packaging systems as something which doesn’t help build a full time income. It actually does. The packaging system allows you to have multiple offerings at different price points, where you offer more value for the higher priced offering. This doesn’t always mean you do more work. I’d suggest using a tiered pricing structure from the get-go. It’s not something you do just to get a foothold when you’re starting out. It’s a system that the best companies in the world use (not just video companies, either). Packages are best used in something like wedding videography, but they can be used in corporate/commercial video, too.